Good News Stable, Inc. is a full service private boarding and training facility for the discriminating owner. Dressage, eventing or jumper disciplines welcomed! The majority of our clientele are adults who either train their own horses, train with Caroline Jordan, or, who make other training arrangements. 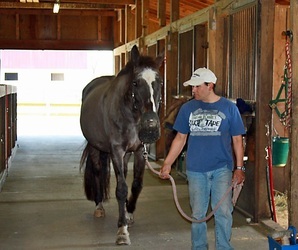 Though Caroline Jordan trains and accepts students of all age levels that have their own horse, Good News Stable does not offer organized lesson programs for youth or adults who do not have access to their own horse with which to take lessons on. Located on a privately owned and active agricultural farm in the heart of the Montgomery County Agricultural Reserve, the Stable facilities include the Main Barn, a Bank Barn, an indoor ring with rubber/sand footing (Fall 2013 this footing will be replaced by a world class GGT footing), an outdoor ring with bluestone/sand footing, a flat grass riding field, numerous private and group turnout fields, and two field board options. Our staff live on the premises. Hacking out options include wooded trails as well and open pastures on neighboring properties including the Potomac Hunt Club. 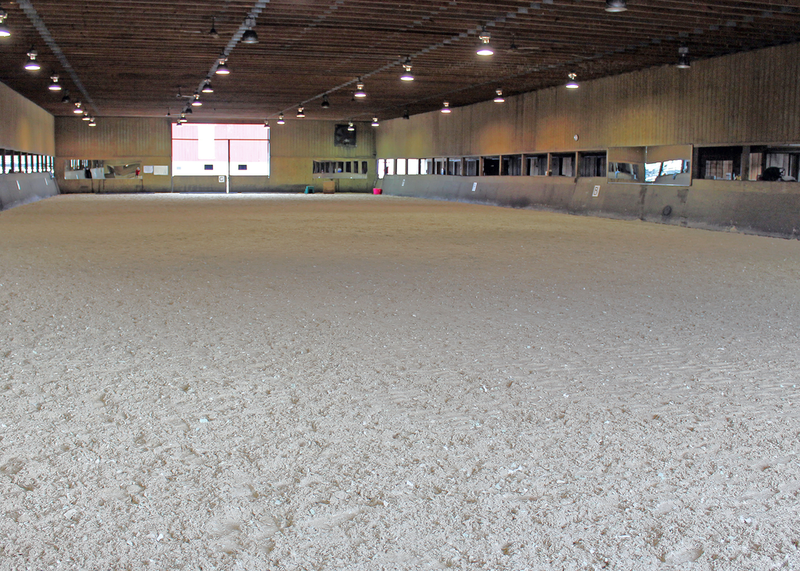 The Main Barn houses our roomy indoor ring with stalls located on either side of the ring. 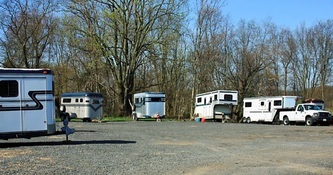 A driveway circles the Main Barn leading to our trailer parking area. Early fall 2013 the footing in our indoor ring was outfitted with German GeoTextile footing. GGT footing is the footing used at Devon, the 2010 World Equestrian Game and many, many top competition and training facilities worldwide. Located between the bank barn and the main barn with gorgeous new railings and updated footing. A unique stretch box for the horses, as suggested by Bob Ciri, is set up in the outdoor as well. Coming Soon! Our new round pen is currently under construction! bales - hay surcharge added for the winter months. • Supplements added at no additional charge -- though we do request boarders provide supplement baggies or utilize Smartpaks if you have more than two supplements for your horse. 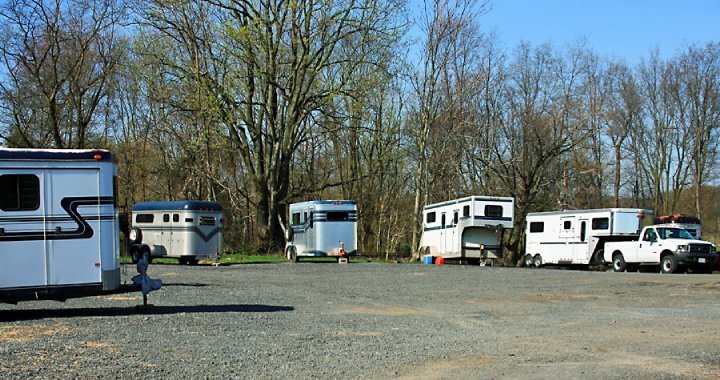 Access to both our indoor and outdoor ring and trails included.